If you've got braces top and bottom, this is the mouthguard for you! Insta-Fit changes with your mouth and braces, always providing comfortable, secure protection with included helmet tether. 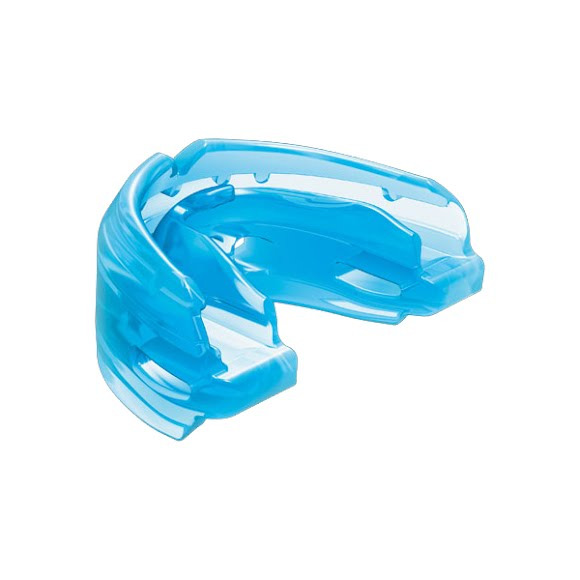 If you&apos;ve got braces top and bottom, this is the mouthguard for you! Insta-Fit changes with your mouth and braces, always providing comfortable, secure protection with included helmet tether. Breathing channels for free airflow. Insta-Fit: a special Ortho-Channel fits around brace brackets and adapts to changes in tooth position as braces are adjusted, providing an instant fit and protection from lacerations.